Located in the heart of the famed Caesars Palace Las Vegas, OMNIA Nightclub is much more than just your average Vegas club. Offering 75,000 square feet of event space, OMNIA truly lives up to the meaning of its name, offering guests “everything” and more. OMNIA mixes technology with lavish elegance to create a one-of-a-kind event venue that can be used in a variety of ways for groups of all sizes. Whether you’re looking to entertain a smaller group of a couple hundred, or are planning a company-wide reception for thousands, OMNIA Las Vegas is sure to impress. Named “Best New Nightclub” by the Las Vegas Review Journal and voted “Best Visual Extravaganza” by Vegas Seven, OMNIA is one of the most talked about venues in all of Las Vegas. The event space hosts a variety of events throughout the year and hosts several famous DJs, including: Calvin Harris, Martin Garrix, Steve Aoki, and Zedd. As an award-winning Las Vegas event management company, On The Scene has years of experience producing corporate events in The Entertainment Capital of the World. 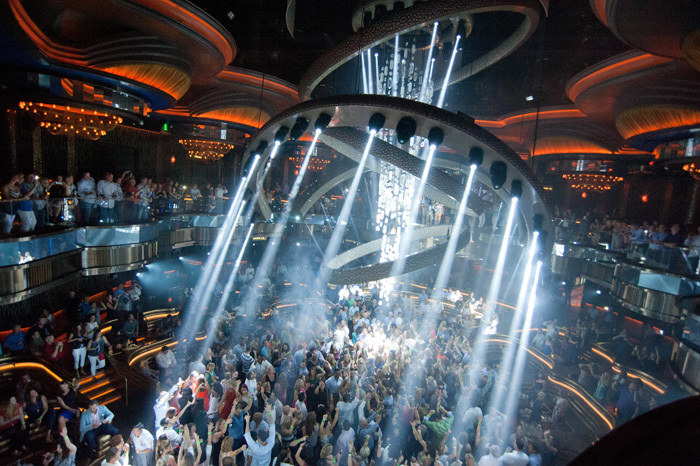 Our team of event professionals have experience coordinating and producing programs for clients at OMNIA Las Vegas, and its unique mix of technology and splendor make it one of our favorite event venues. Our experience with the venue allows us to offer personalized recommendations for your company’s event to ensure we bring your vision to life. We work as an extension of your team, learning your company’s brand and goals to produce an event experience attendees will never forget. OMNIA’s versatility makes it the perfect choice for your upcoming corporate event. With a variety of event spaces, including a rooftop terrace, OMNIA Las Vegas can accommodate everything from a company-wide welcome party or corporate reception, to an event wrap-up party at the end of a multi-day program. Main Room – The nightclub’s main room has plenty to offer, and features a large dance floor, comfortable leather seats for those that want to sit back and relax, and a one-of-a-kind “kinetic LED chandelier” that moves with the beat of the music. OMNIA’s main room is the perfect space for a corporate reception or party, with plenty of space for your entire group. Heart of OMNIA – This “ultra lounge” is pure luxury, featuring deep jewel tones, mirrored panels, antique brass, high-tech LED panels, and a DJ booth. This is the perfect space for a more intimate private event. Terrace – The terrace provides panoramic views of the Las Vegas Strip, while still featuring the incredible LED technology OMNIA is known for. 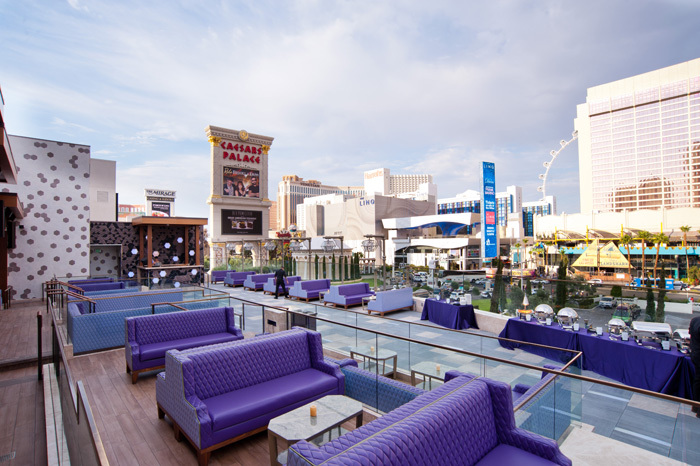 Giving guests the chance to mingle outside and enjoy the energy of Vegas, the terrace is complete with glass tiles that pulse in time to the music blasting from the LED DJ booth. At On The Scene, we are committed to producing one-of-a-kind corporate event experiences for clients in a wide variety of industries. No matter the size, scope, or complexity of your event, the On the Scene team can handle it. We offer a variety of event solutions, from the initial coordination and logistics to transportation, team dining, tours & activities, and event entertainment. If you’re interested in hosting your next corporate event at OMNIA in Las Vegas, contact us today to speak with one of our event managers!